On Friday, President Trump announced a three week Continuing Resolution to open the government while adequate border security funding is negotiated. I'm glad that government employees will receive temporary relief, but this good faith effort will be in vain unless we come to an agreement to fully fund border security, provide disaster relief, and reopen the government for the entire fiscal year. It is my hope that over Democratic leadership will spend less time working against President Trump and more time working across the aisle to address the crisis at our southern border and give government employees certainty by passing a long term spending bill. On three separate occasions before the short-term spending bill was signed, Republicans offered a legislative solution to pay furloughed government employees while we worked to end the shutdown and secure our border. This provision would have ensured that government employees were paid during the shutdown, rather than receiving backpay once the government reopened. 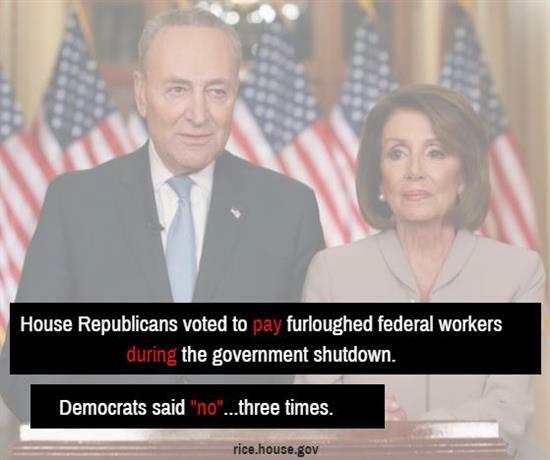 An alarming majority of Democrats voted to deprive government workers of their paychecks while the government was shutdown. Over the next three weeks, Democrats should work across the aisle so that we can pass a year long spending bill and provide certainty to the government employees they repeatedly voted to deprive of their paychecks. This week was National School Choice Week! School choice is about ensuring every child receives an education that fits their needs and will allow them to achieve their goals. Every child deserves the opportunity to learn in an environment that enables them to be successful. WPDE highlighted Palm Charter High School in celebration of National School Choice Week. 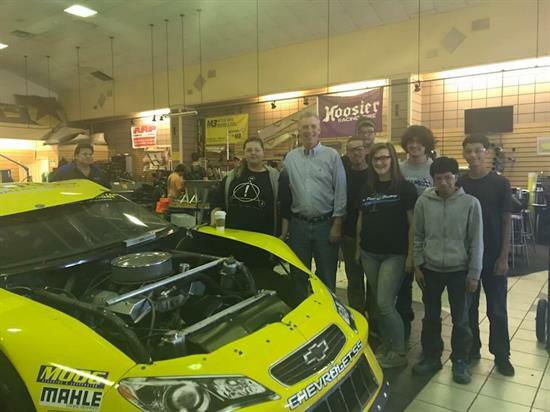 Palm Charter High School in Conway is an excellent example of the benefits of school choice. Learn more about their innovative curriculum in the link below! As our community continues to recover from Hurricane Florence, we are actively seeking long-term solutions to the reality our state faces due to flooding. This week, I participated in a productive South Carolina Floodwater Commission meeting. The meeting focused on identifying federal funding sources to support task force initiatives, which will be my primary role on the Commission. The purpose of the Commission is to find innovative solutions to mitigate flood damage in South Carolina. Governor McMaster called on experts from all sectors and industries across the state to find ways to mitigate, prepare, and protect South Carolina against future flooding. It's a tall task, but I have faith that this collaborative effort will yield real results for those most vulnerable to flooding in the Seventh District. If you're visiting DC, be sure to reach out to my office to schedule a tour of the Capitol! You might just get to see an amazing sunset on the Speaker's Balcony!